Alyson holds a B.A. in Music Theatre from The American University, a Masters Degree in Educational Theatre from The City College of New York, and teaching certification in Theatre for Grades PreK-12. As a performer, some of her favorite roles include Luisa in The Fantasticks, Wendy in Peter Pan, and Kate in the original workshop of Michael Rupert and Matthew Riopelle’s musical Streets of America, performed at The Kennedy Center. Alyson is currently a faculty member at The Unquowa School, teaching Drama and Music to Pre-K through 8th Grade, and has previously taught in Stratford, Norwalk, and in New York City where she co-managed educational programming at TADA! Youth Theater for five years. She is very excited to be teaching at MTC! has been a professional musical theatre composer and director for more than 35 years. Off-Broadway: Play Like a Winner (NYMF 2016 and 2017), Prime Time Prophet, Jukebox Saturday Night, The Abandoned Loves of Frederick R., Life Anonymous, Lover: The Valentino Musical, Babes Off Broadway, Saloon and Suzy Q. Selected regional productions: The Fantasticks, It's a Wonderful Life: A Live Radio Play, Babes in Toyland, A Christmas Carol and Baby; with such stars as Joan Rivers, James Naughton, Skitch Henderson, and Johnny Mathis. In 1987 he co-founded Music Theatre of Connecticut where he still serves as Executive Artistic Director. He has directed over fifty Equity MainStage productions including Next to Normal, Lady Day at Emerson's Bar and Grill, Little Shop of Horrors, Evita, Doubt, Master Class, Gypsy, (all Connecticut Critics’ Circle Award Nominations/Winners), and It's a Wonderful Life: A Live Radio Play (Moss Hart Award Winner). As a composer he has penned the score for numerous musicals including It's a Wonderful Life: A Live Radio Play and A Christmas Carol: A Live Radio Play (both published by Playscripts, Inc.). He is a seven time Connecticut Critics’ Circle Best Director nominee, the recipient of the Tom Killen Award for Outstanding Contribution to Connecticut Professional Theatre, and served on the faculties of The Hartt School of Music/University of Hartford, Sacred Heart University, the University of Bridgeport and Musical Theatre Works in NYC. A resident of Norwalk, John has performed in the MTC MainStage productions of The Fantasticks, God of Carnage, Master Class and Ancestral Voices. John’s other credits include: The Shakespeare Theatre Company: Othello. Ford’s Theatre: A Christmas Carol. Academy of Classical Acting, Shakespeare Theatre Company: The Merry Wives of Windsor, The Maid’s Tragedy. Regional: Hartford Stage Company: The Philadelphia Story. New York credits include the Rattlestick Theatre, The Kraine Theatre, and Expanded Arts. He has an MFA from The Shakespeare Theatre Company’s Academy for Classical Acting at GW University, and is a graduate of the American Academy of Dramatic Arts and Niagara University. Matthew holds a B.A. in Music from Western Connecticut State University in Vocal Performance, and has received training from New York Vocal Coaching Teacher Training and is currently training with the International Voice Teachers of Mix. 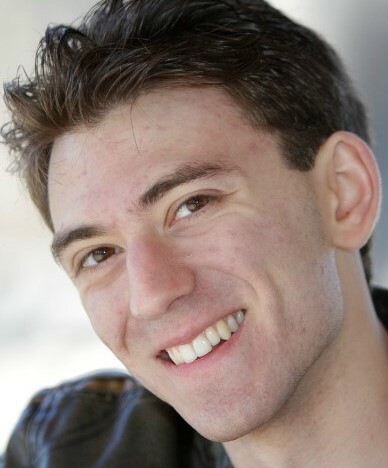 In his career, Matthew has worked as a counselor for Drama Ramas and Rising Stars Camp in Guilford, CT. Matthew previously worked with Music Teacher's Network as a Piano and Voice Teacher. Matthew currently works with the Performing Arts Conservatory of New Canaan as a substitute voice teacher and with Johnson Voice Studio as a voice teacher. Matthew is joining the MTC faculty as a Voice and Piano teacher. Jeri began her professional career at age 19 as a Rockette at Radio City Music Hall. She made her Broadway debut in the original cast of Sugar Babies starring Ann Miller and Mickey Rooney, and the following summer was handpicked by the legendary Gower champion to create the role of Phyllis in the original Broadway cast of 42nd Street. She has appeared nationally as Mona Lipschitz in Chicago, Showboat, The Music Man and as Anytime Annie in 42nd Street; and on film and TV in Saturday Night Fever, Gossip Girl, White Collar and The Goodbye Girl. Jeri is a master teacher and choreographer, having taught all levels of ballet, jazz, theatre dance, tap an lyrical, and has worked with the top Broadway and television choreographers including Peter Gennaro, Alan Johnson, Earnest Flatt, Tommy Tune and Gower Champion. Deb has been on the faculty at MTC since 1989! Aside from teaching and directing at MTC, Deb worked at the Johnston Talent Agency for thirteen years. Deb was a commercial agent for two well known children’s agencies in New York; Abrams Artists and Associates, and Jordan, Gill and Dornbaum. After graduating from Mount Holyoke College, Deb studied acting at Circle in the Square in NYC. She performed in several Off Broadway productions including Inside Out and Mrs. Warren’s Profession. Summer Stock credits include Fiddler on the Roof at the New Jersey Festival Theatre, as well as roles with Keene State Theatre, Hope Theatre, and The Summer Theatre at Mount Holyoke College. Deb also performed in a live Industrial for Pepsi Cola (where she met her husband, Mark), and she also appeared in several soap operas including One Life to Live and As the World Turns. Currently Deb performs with Steppin’ Out Entertainment, a local theatre group that does murder mysteries, musical revues and the holiday show at the Spinning Wheel Inn in Redding, CT. She lives in Trumbull with her husband and their daughters, Leah (a graduate of the MTC College-Bound program) and Justine. Member AEA, AFTRA. As an actress and a singer, Tracey has performed off-broadway, way off-broadway, on TV and on the radio. She has done live and recorded industrials, hundreds of sound-alikes and jingles for a multitude of clients--spanning the spectrum from PBS to The World Wrestling Federation. She has written and directed for Pepsico. Tracey is a co-creator/songwriter and producer as well as one of the actresses in Another Day In Paradise, a musical that has enjoyed three New York runs to date and is now available for licensing (www.anotherdayinparadisemusical.com). She produced the first theatrical event for Mamapalooza at Off-Broadway’s Zipper Theater in Manhattan. This is the only cultural festival of its kind, celebrating moms in the arts. In addition to being part of Music Theatre of Connecticut’s Voice Faculty, Tracey is on the Voice Faculty in the Musical Theatre Division of The Hartt School. She maintains a private studio and is an adjunct professor of voice at Fairfield University. Tracey is a member of the New York Singing Teachers Association and The National Association of Teachers of Singing. She was the lead vocalist for the popular metro area band, Celebration for 25 years. Tracey is as comfortable with jazz, swing, pop, rock and R&B classics as she is with show tunes. And as today’s musical theatre is melting pot of these various styles, Tracey integrates these genres into her teaching. She graduated Phi Beta Kappa from Indiana University and received a BA with Distinction in Theatre and Telecommunications. She studied voice with Margaret Harshaw and Don Pfost. Tracey continues her professional development as an artist and an educator by regularly attending Broadway Teaching seminars, workshops and master classes. She is happily married with three great kids and is living proof that family and career are not mutually exclusive. Alex holds a B.A. in Film, TV, and Media Arts from Fairfield University and minored in Theatre. As a performer, some of his favorite roles include Bud Frump in How To Succeed, Rod in Avenue Q, and Claudius in Shakespeare’s Measure for Measure. Outside MTC, Alex is an acting coach for Middletown Stage Company where he also teaches a Shakespeare abridged workshop, an acting for the stage and camera workshop, and an improvisation workshop for their teen theatre camp. He has also worked on a few independent films, as a professional photographer, and in the New Haven Public Schools system as a paraprofessional. At MTC, Alex teaches acting, improv, and film production classes. co-founded MTC in 1987 and has served as teaching artist, Artist in Residence, director, general manager, actor, producer and currently as Director of the School of Performing Arts and MTC’s Managing Director. Acting credits include John Guare’s A Day for Surprises, Upper Broadway (Westport Country Playhouse), Hamlet (with Tony Roberts), South Pacific (with Jamie Farr), The Fantasicks (Rich Forum) and on MTC’s MainStage in Jacques Brel is Alive and Well..., Three Guys Naked from the Waist Down, Yours, Anne, It’s a Wonderful Life: A Live Radio Play, Doubt, Almost, Maine, God of Carnage, The Fantasticks, A Christmas Carol: A Live Radio Play and last season’s Vanya and Sonia and Masha and Spike. Film credits include Bullets Over Broadway, Cadillac Man, Soapdish and as Sean Penn’s double in Dead Man Walking. 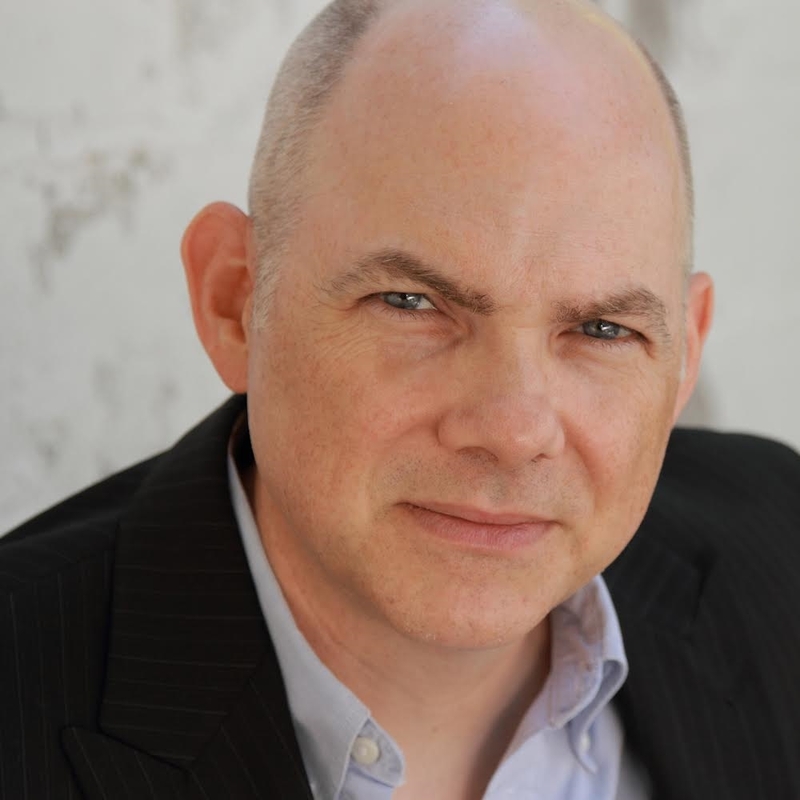 Jim holds a BFA degree in Musical Theatre from Otterbein College and was also trained at the Actors’ Theatre of Louisville, Playwright’s Horizons in New York City and Improv Asylum in Boston. Jim, a graduate of the National Guild of Community Schools of the Arts’ AMICI Arts Management Program, continues as a Blue Ribbon Panelist for the Daytime Emmy Awards, and is on the voting committee for the SAG awards, and a member of “Who’s Who in the American Theatre” from 1991-present. Jim is a proud member of Actors Equity Association since 1980. Member AEA, SAG, AFTRA.